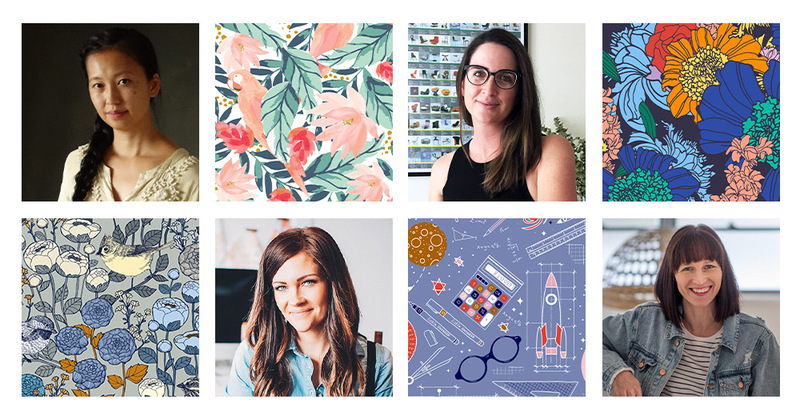 Spring is finally here at Spoonflower Headquarters and we’re thrilled to be shinning the sunny spotlight on four designers whose brilliant and colorful patterns are just what we need to celebrate the new season. Though we may be celebrating spring here in the northern hemisphere, three of our featured designer friends come to us from Australia—where the cooler season is just beginning. Help us give a warm welcome to all four of this month’s highlighted artists! Daniela’s, “…mix of digital and hand-drawn designs are both bold and fun.” We totally agree! What influences or inspires your work? Cecilia: I adore the artists from the Golden Age of Illustration, and I collect my very favourite classics as well as stunning new picture books by visual storytellers. I love ancient Chinese and Japanese textiles and historical European Chinoiserie. I am so inspired by the local national parks, and visits to the museums and galleries with the kids. I admire many contemporary Australian painters who capture a unique sense of place and evocative symbolism. Making art with the kids, I always see their innate creativity and a fresh and unaffected approach to colours, emotional expression and storytelling. Mindy: My daughter was the one who originally inspired me to become a designer. 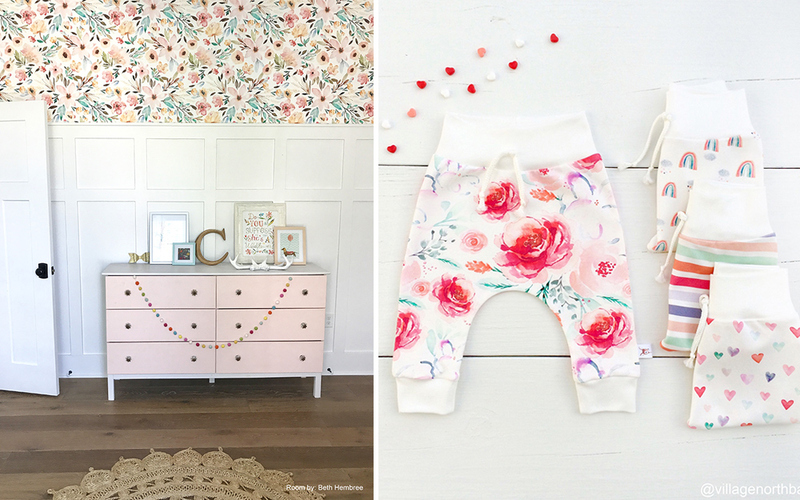 I was searching for specific types of designs for her nursery three years ago. I couldn’t find anything I loved or what I really wanted at the time. I decided I was going to start painting designs for her nursery with my own designs. That’s how my design, Peachy Blossoms, came to life. I posted about it on social media, and had a lot of friends telling me they’d buy my design if I sold it somewhere. So I searched online and found Spoonflower, and it was a match made in Heaven! I mainly paint things I personally would buy. If I wouldn’t buy it, then I won’t make it. I usually start with a theme, or pick colors, and then paint LOTS of different things and watch my designs come to life. Daniela: My designs draw inspiration from traveling, my love of art, design and architecture, from my family of makers, and from motherhood. Summer and times spent at the beach also seem to be a running theme in my designs. I guess I am always thinking of endless summer vacations! Michelle: Memories of my past and what sparked joy as a child heavily play on a lot of my design process. My family and nature are my happy place and constantly influence me to create. And, I love the community of Instagram and Pinterest as you’re exposed to so much beauty which in many cases help spark ideas for a new print. How do you get out of a design rut? Cecilia: Pick up another project from the pile, finish that sewing project, make that recipe, repot a plant, mix some oil paints. Refresh your sense of creating and making something you can finish with satisfaction. It contributes to your sense of wellbeing. Flip through your very favourite books, whether they are novels, gardening books, art, design, poetry, and remember what ignites your imagination. Mindy: I stop looking at social media, Pinterest, etc. Seeing others’ creativity is SUPER motivating, but can be defeating at times. When you design for yourself and don’t follow the crowd or try to compete with those around you, it’s freeing. It allows your mind to hone in on your own creativity. You will feel defeated a lot if you’re trying to compete with those around you. In this business, there are literally thousands of amazing designers. The ones that stand out usually are the ones that create, inspire, uplift and encourage those around them, and have a system that works for them in their creative process. It took me a little bit to find mine, but I realized the more I focus on what I love to create, the more successful my designs are. Love what others do, but LOVE what you do MORE! It will set you apart! Daniela: Time out from the creative process is key! Michelle: I leave what I’m doing to go outside to play with my kids or do some exercise then try again. If all else fails, I just throw myself into it and usually find that once I start playing around with a design, I find my way. Cecilia: When I had my kids, I decided I wanted a job which would allow me to work from home while they were little and give them as much time as possible. I reflected on my very favourite classes, the best parts of my previous graphic design job, and imagined my ideal projects. I listened to my heart and gut about what I truly wanted to do, I decided to really throw everything into becoming a surface and print designer. I wanted to build the skills to move into textile design and finally checked out Spoonflower after hearing about it for a long time. I decided to commit to entering every single Weekly Design Challenge for one year. I learned so much by making the decision to tackle each one with no exceptions and explore new techniques and tools. Cecilia working on a burst of blooms! Mindy: When I started as a designer, I was a little nervous to sell my designs. I wasn’t a professional by any means. Though I was proficient in Photoshop due to my photography business, I knew nothing about the design industry. I had to teach myself Illustrator, which has been so much fun (and hard at times). But, quickly I found out that others out there loved my style too! If I would have let fear defeat me in the beginning, I wouldn’t have become the designer I am today. I am running a successful design company from home and the more I learn, the more I thrive and LOVE being a part of this community. Spoonflower has helped me to become a successful business owner from home, and I LOVE my job and never feel as if I’m “working.” It can’t get any better than that! Daniela: As a young child, I was always drawing and painting. A family friend decided one day to buy one of my pieces of art. That moment was a huge thrill for me—having someone other than a direct family member invest and believe in my creative ability. 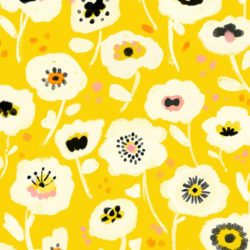 My first foray into textile design was a request from my sister, who is a mad but brilliant hobby sewist. 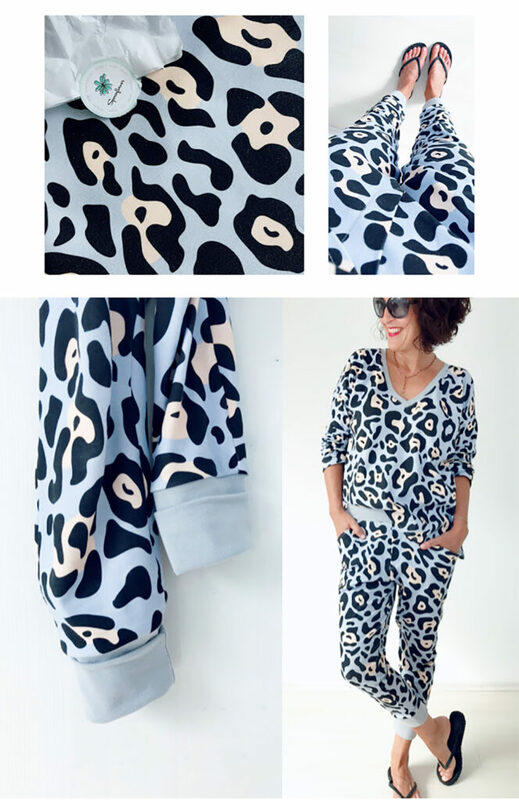 I was hooked from the moment that my first design was printed onto a textile and transformed into a set of pajamas for my niece. 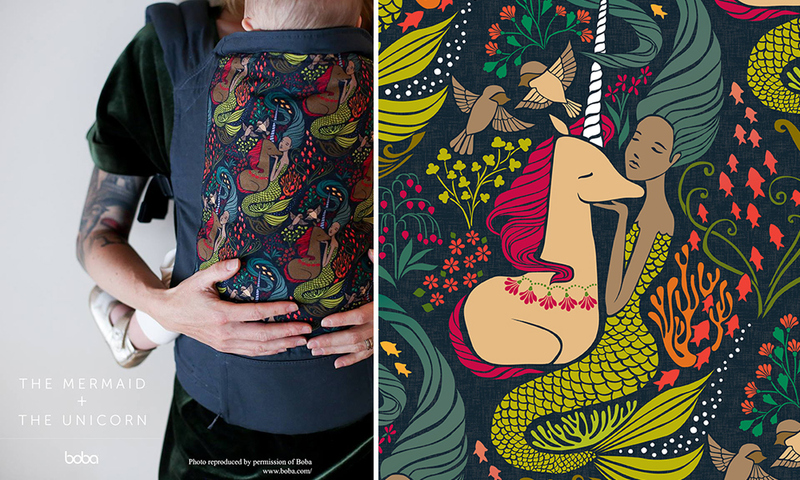 My sister and I often joke she is my ‘best customer’, but I get to relive that childhood moment when someone in the big wide world chooses a Booboo Collective design to incorporate into their own creative project. 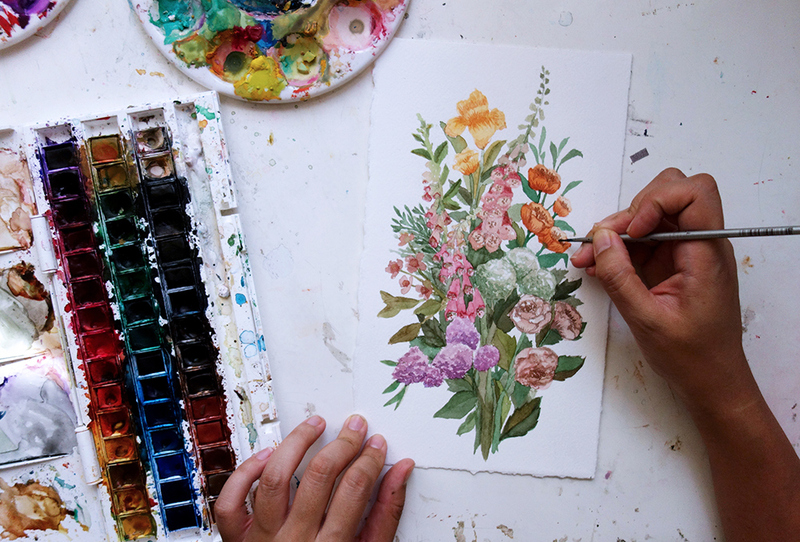 Michelle: From a young age, I remember doing hours and hours of craft with my mother as well as constantly dreaming of how I could redecorate my room. I can’t really pinpoint a moment as my path has slowly progressed to where I am today. 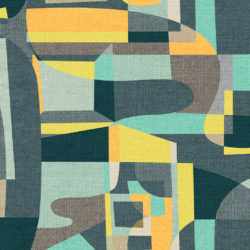 However, I will say, getting into the wonderful world of textile design definitely started just over two years ago when my lovely friend Ellie Whittaker showed me how to do seamless repeats in Illustrator and I’ve been hooked ever since! 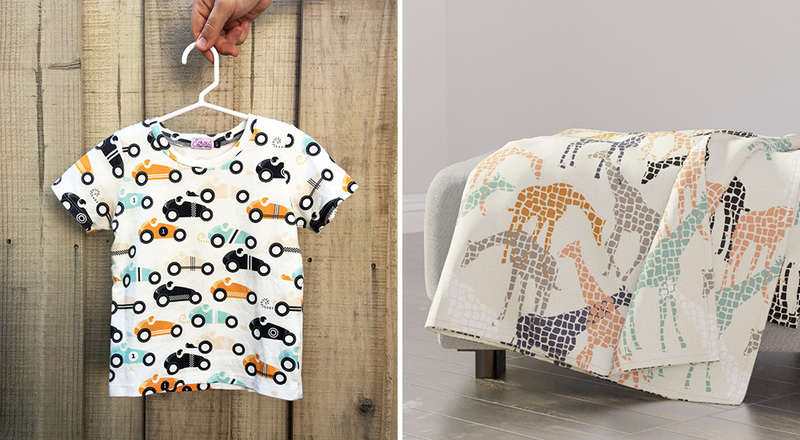 How has Spoonflower supported you as an independent designer? 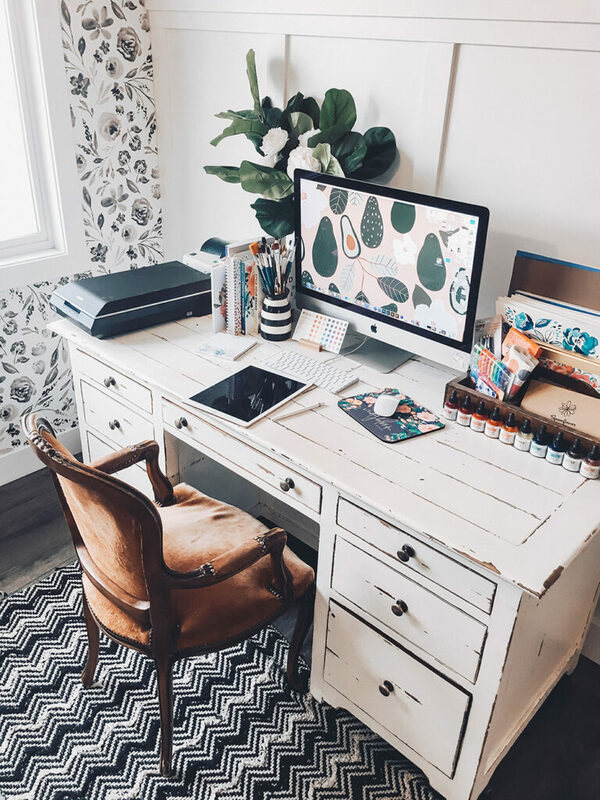 Cecilia: I’m grateful for the opportunities which have bloomed from Spoonflower, such as connecting with a worldwide community of print lovers and amazing clients for commissions and design licensing. 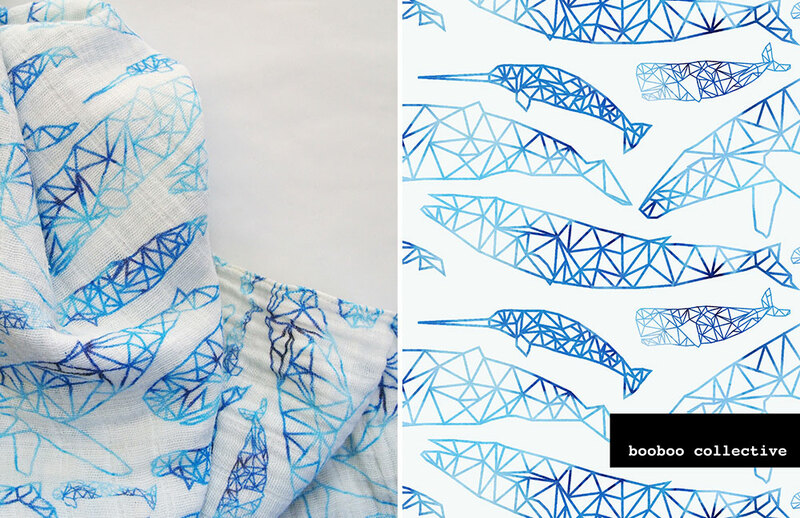 Daniela: The Spoonflower community is a happy place! Interacting with designers and customers is a great feature that adds to the social aspect of what could otherwise be an impersonal exchange. 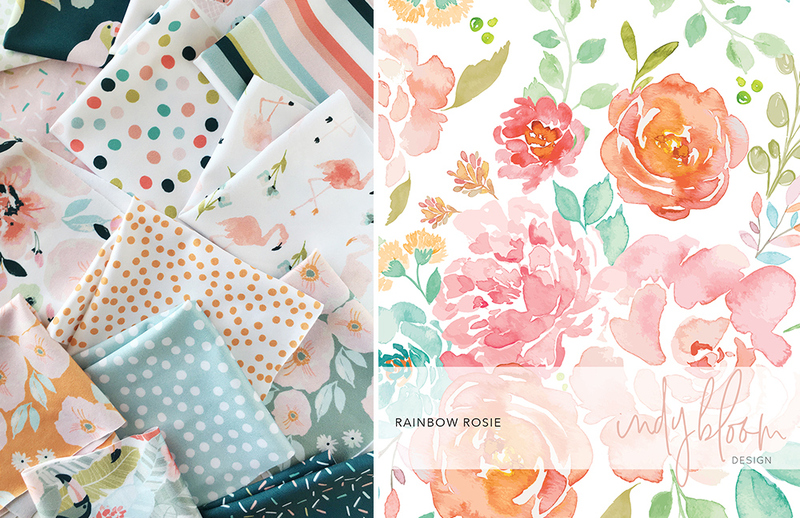 Michelle: I love how Spoonflower has allowed my work to be seen all across the globe and it brings me so much joy to see what my designs are transformed into. 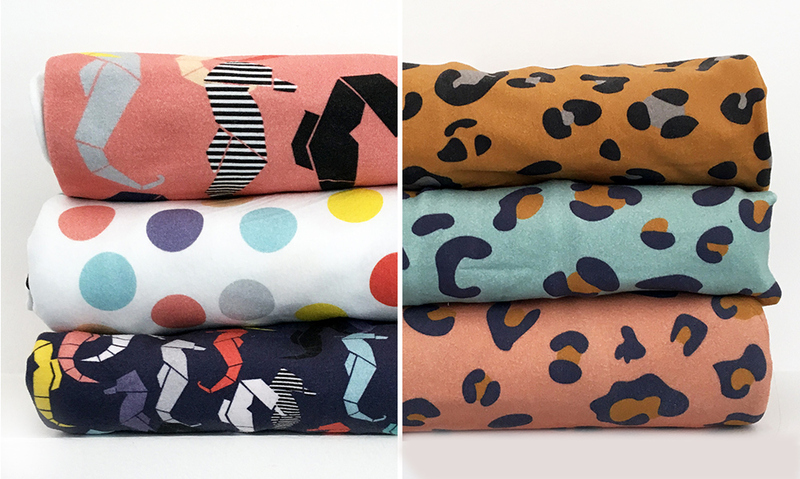 What’s your advice for new designers on Spoonflower? Cecilia: Create a vision board of designs, fine art, décor, illustrations, etc. Things which capture exactly what excites you visually. Keep this vision board close as a reference for when you are feeling confused or creatively lost to remind you of what you love and what is meaningful to you. Update and change it when you find things which speak to you more. Further, create a moodboard for each design concept you are developing to give you a fresh source of energy about what you want to create. Lastly, be authentically you; you have something special and unique which no one else has. Mindy: Be a dreamer and a doer. Life opens up to you when you follow your dreams and passions and kick that fear and doubt in the face! Be confident in your designs. If you love what you do, it will show in your work! 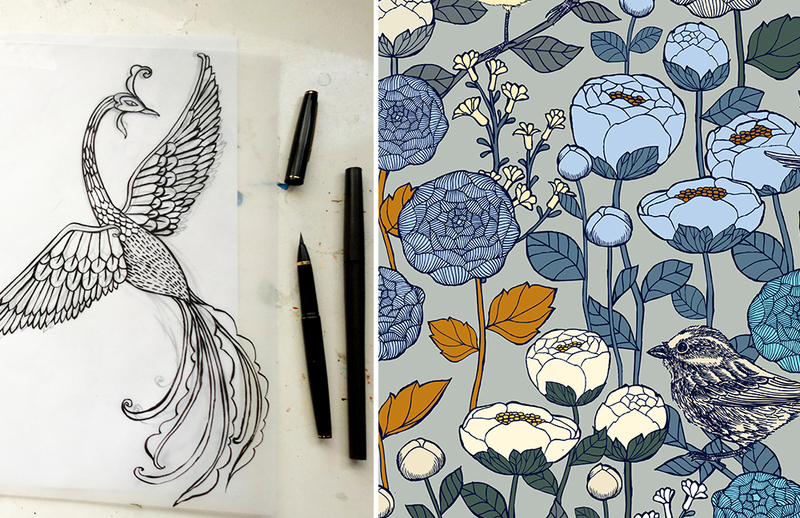 It’s ok to be new at designing, but if you dream, work hard, and keep on keeping on—even when troubles or hard things come your way—your designs and business will be successful and you will LOVE being a textile designer! Daniela: Enjoy the process! What may seem like a lot of work will become a labour of love, I can assure you. Especially when you get to see your designs being worn ‘out in the wild’. Also, try to take part in the Weekly Design Challenges. I LOVE to participate and always try to offer designs with a different point of view. I see it as an opportunity to develop my ‘voice’ further as part of my surface design practice. Michelle: Just get sucked into it. 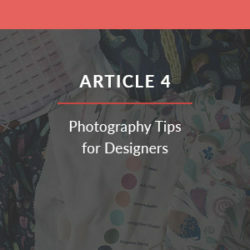 There are so many tutorials online if you need a helping hand, but don’t be afraid to ask fellow designers! You’ll find in most cases, people are happy to share what they know. Try not to compare yourself with established designers—it can really stifle your creativity. Instead, take things one step at a time. Enjoy the creative journey. You’ll find your way! Cecilia: I’m passionate about potted plants and transforming my little balcony into an urban oasis. I love swimming in the ocean; and I am obsessed with board games! Mindy: I’m a self-taught designer, a mom of 4, and a 3-time sucessful business owner. Daniela: I’m an architect by day, my dreams often take the form of drawing, and I’m a dog person. My shop’s name, booboo, is derived from my family’s word for dog. Michelle: I grew up in South Africa and now live in Australia with my husband and 2 kids. I have my master’s degree in sports management and marketing. Lastly, I love interior design! See Where You Ranked in the Desert Modernism Design Challenge!